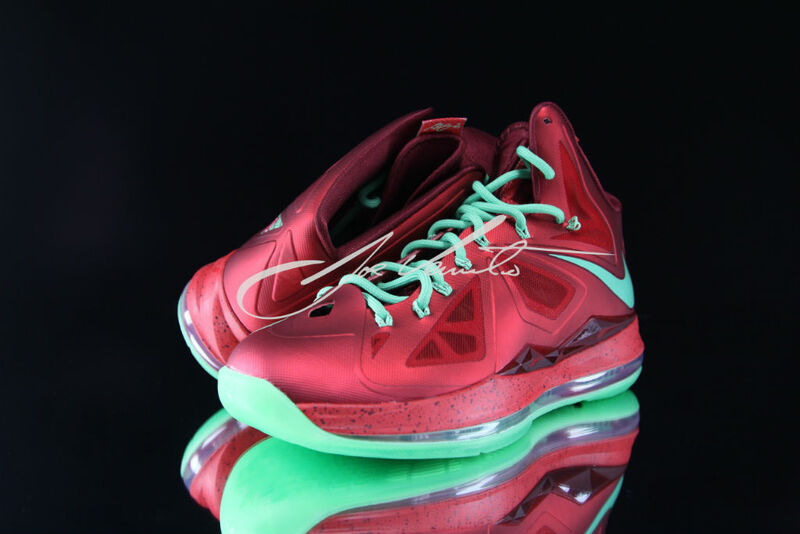 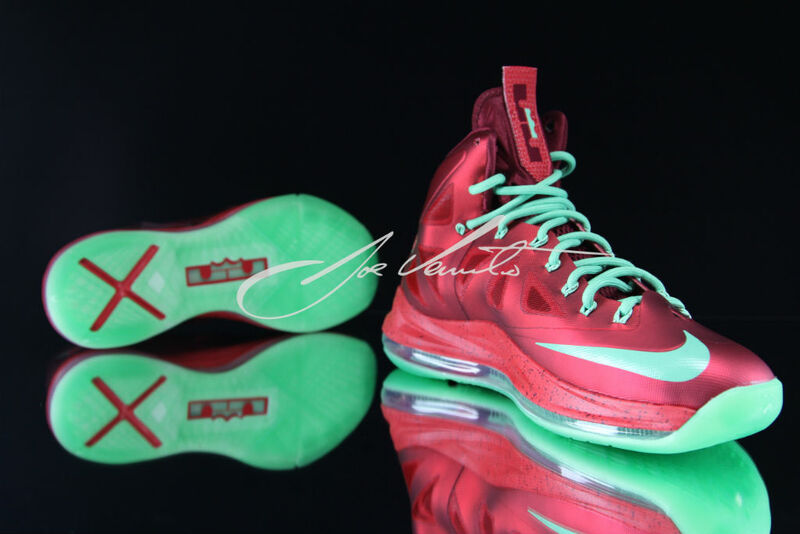 A detailed look at the upcoming "Christmas" LeBron X.
Christmas came early for Joe Venuto, who recently shared these detailed photos of the upcoming "Christmas" Nike LeBron X. Sticking with the usual Yuletide theme, the shoe features a deep red Hyperfuse upper, accented by vibrant green hits on the Swoosh and laces. 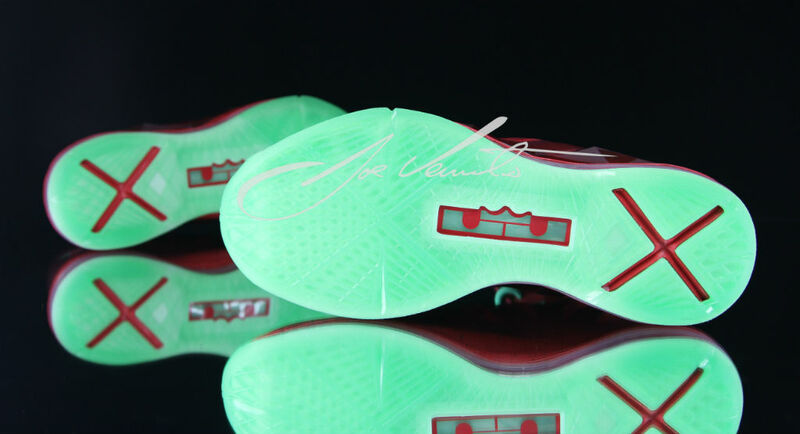 An ornament graphic adorns the medial heel tab, while a speckled midsole, red Zoom Air bag and green rubber outsole complete the look below. 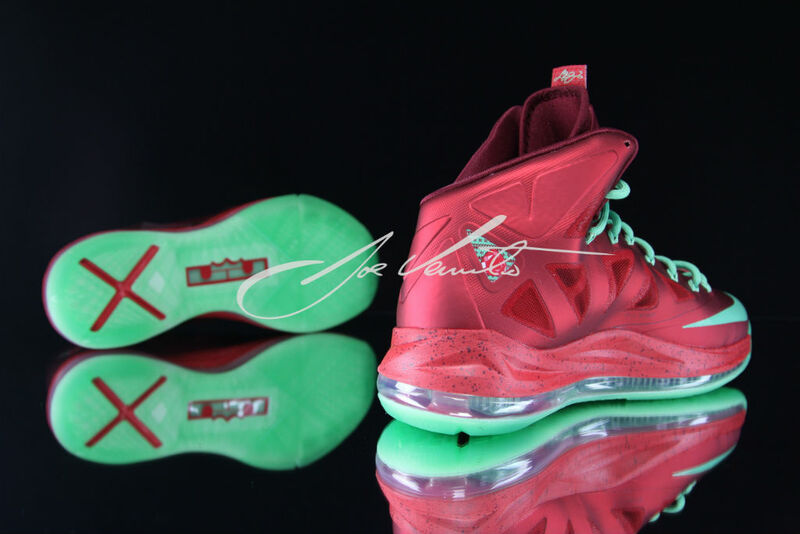 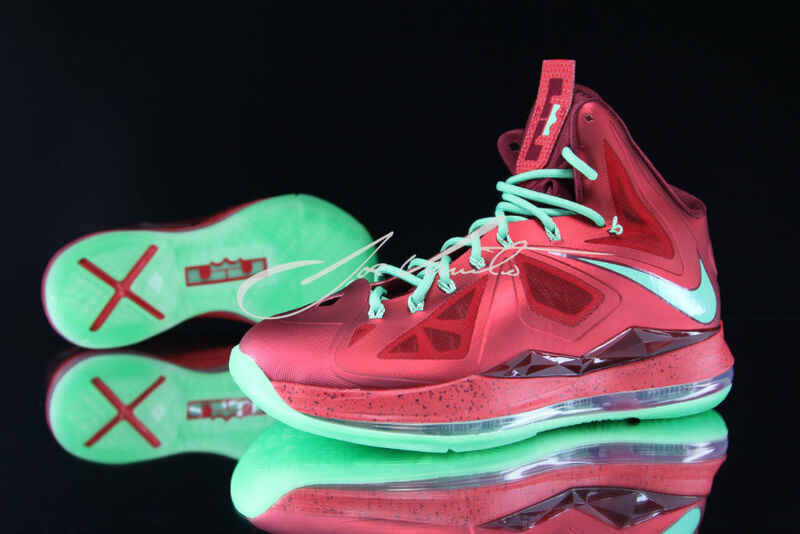 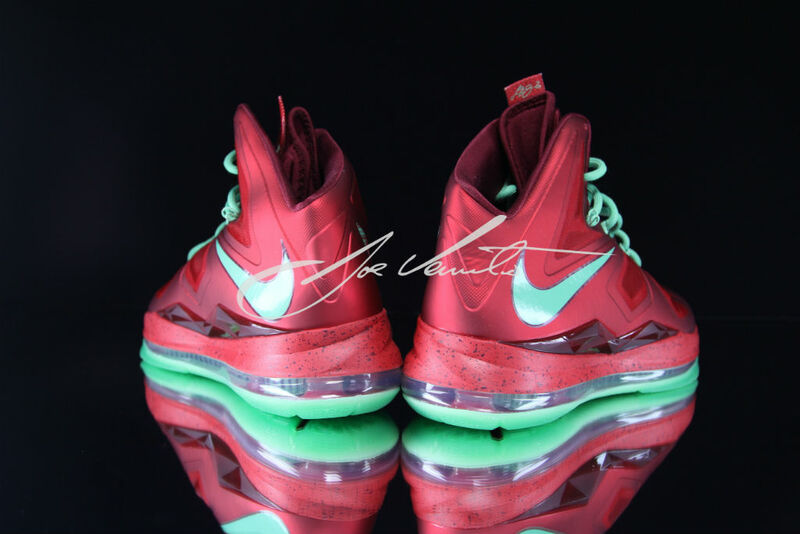 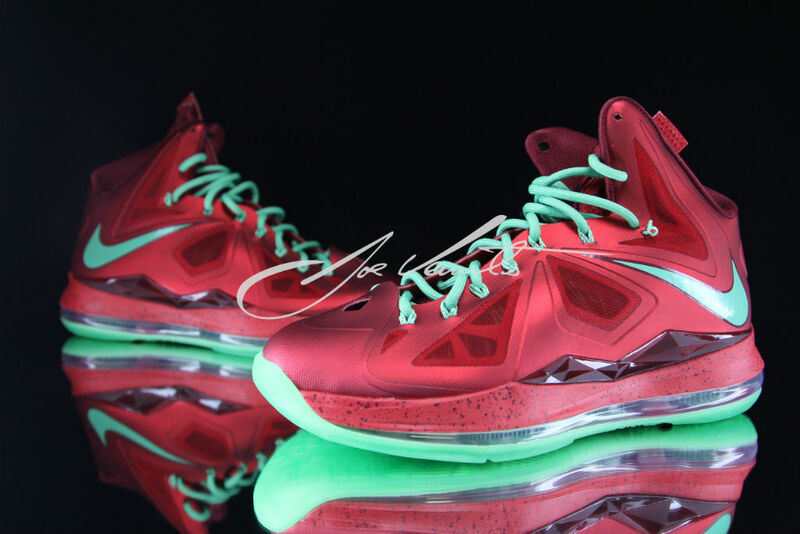 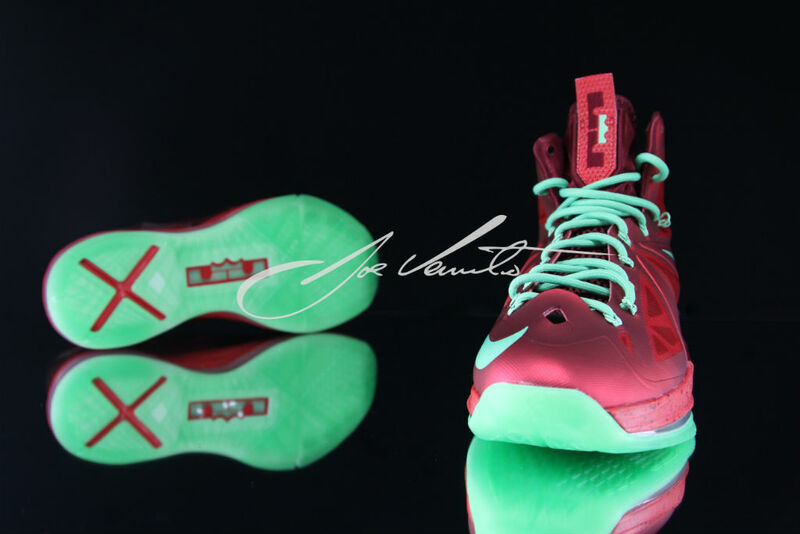 Is this LeBron's best Christmas shoe to date? 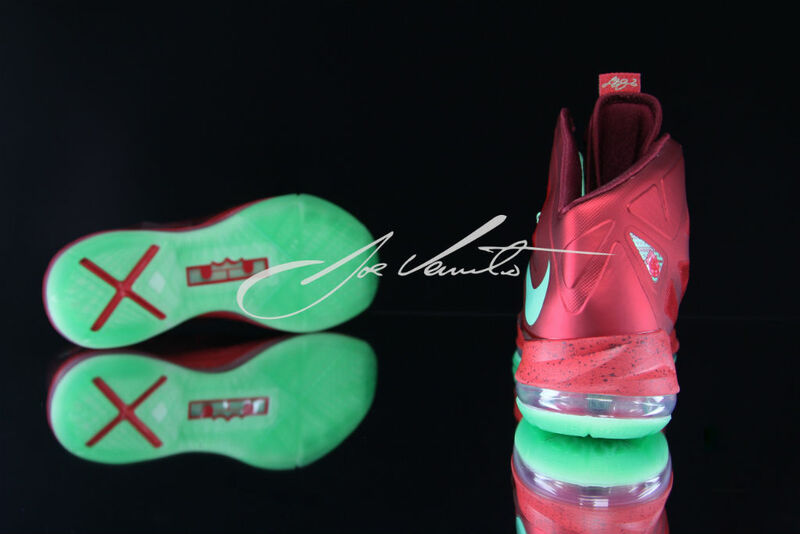 Share your thoughts in the comment section and stick with Sole Collector for release updates as more information becomes available.